The Cloacina MEMPAC-M™ membrane bioreactor is a package wastewater treatment system designed for clients with stringent discharge requirements or the desire to reclaim treated effluent for irrigation purposes or ground disposal. The MEMPAC-M incorporates primary treatment, activated sludge and membranes clarification as the final stage of treatment. Unlike activated sludge wastewater plants that utilize a traditional clarifier, membrane treatment does not allow solids to carry over into the effluent. The MEMPAC-M is designed to treat high-strength influent to meet strict discharge requirements and the standards for reuse. 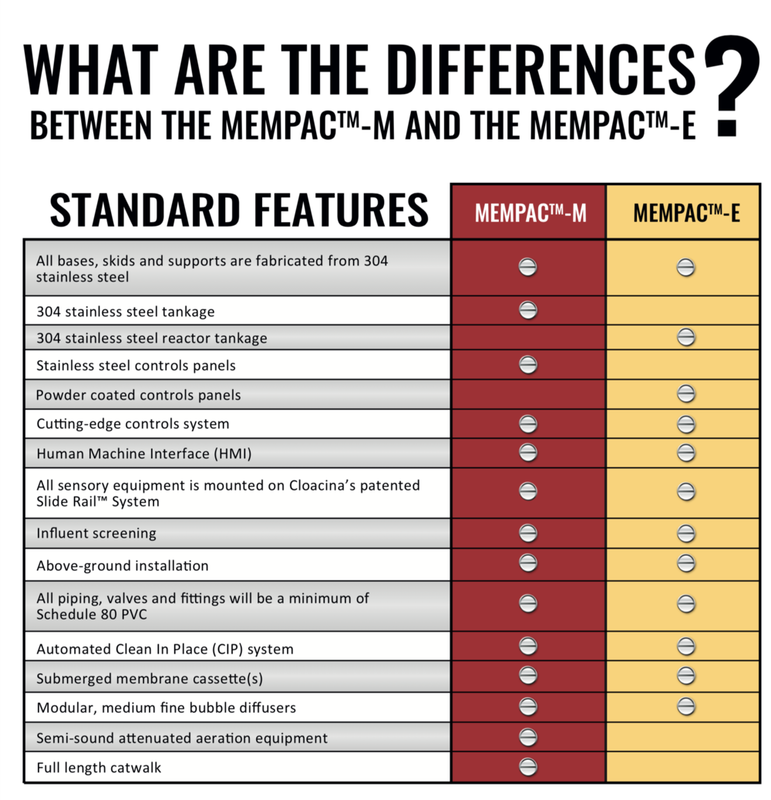 All interior and exterior components of the MEMPAC-M are manufactured from high-quality, corrosion-resistant materials and all tankage and equipment skids are fabricated from stainless steel. Prior to shipment, all components are factory-installed and wet tested. The compact design of the MEMPAC-M makes it ideal for projects with small footprints and remote locations.